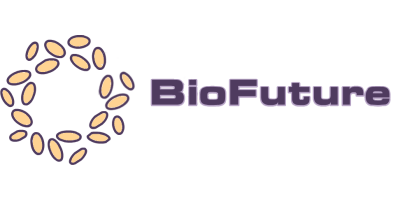 BioFuture harnesses the power of environmental biotechnology to solve the problem by maintaining water quality in an exceptionally efficient manner. BFL Aqua Clean uses only harmless, natural micro-organisms to deal with the problem by degrading organic matter to CO2 and H2O and removing toxic inorganic material especially ammonia and nitrite in a highly effective and environmentally acceptable way. What is BFL Aqua Clean? BFL Aqua Clean contains a blend of micro-organisms that have been isolated from the natural aquatic environment. These micro-organisms have been specially selected for their ability to efficiently degrade organic matter and remove ammonia and nitrite in the aquatic environment. These strains grow at a fast rate so that they can quickly colonise a biological filter or pond. In this way they quickly establish a biomass which restores the natural balance in the pond. The strains in the product work in total harmony with the existing biomass and increase its overall efficiency. BFL Aqua Clean is primarily used for treatment of the water and the biological filter. BFL Aqua Clean is provided on a cereal support and should be rehydrated before use. This is achieved by adding the required quantity of product to 10 times its volume of lukewarm water. The contents should be stirred and allowed to stand for 1 hour before addition to the body of water. For addition to biological filters it may be necessary to use a coarse filter to remove the cereal particles. The micro-organisms in BFL Aqua Clean have all been isolated from natural environments. They have not been genetically modified in any way. These microbial strains have been classified as being harmless to humans, animals and plants. The product is subjected to independent testing to ensure that it is free of Salmonella and other contaminants. No reviews were found for Aqua Clean - Model BFL - Fish Ponds Liquid. Be the first to review!